Earlier this month, Ladysmith RCMP recovered a vehicle that had been stolen in Langley. • On Oct. 1 at 8:09 a.m., the Ladysmith RCMP were called to Ludlow Road, where a male had just driven off the roadway and abandoned the vehicle. The driver associated to this vehicle was involved in various incidents the previous evening in Nanaimo and had managed to elude the officers. Ladysmith RCMP, along with the RCMP police dog, attempted to search the area to locate the male suspect but were unsuccessful. The recovered silver Acura was reported stolen from Langley and had stolen license plates from Nanaimo. The stolen vehicle was later examined by the RCMP forensic unit, and evidence collected revealed a possible suspect. This investigation is ongoing. • At 3:38 p.m. on Oct. 11, a 9-1-1 call was received to attend a Ladysmith residence where a domestic assault had been reported between a male and female couple. Ladysmith RCMP attended the location and met an adult male with minor injuries and torn clothing. No medical treatment was needed. A n adult female was arrested at the scene and removed from the property. The female accused was released with a court date and under strict conditions. A charge of domestic assault is pending. • On Oct. 12 at 10 p.m., a concerned citizen reported a pickup truck canopy was lying in the middle of the roadway on Symonds Street near the 49th Parallel Grocery store, causing a traffic hazard. Ladysmith RCMP removed the canopy, which is now being stored at the RCMP offices. No one has come forward to identify it or report they are missing a canopy. • At 11:15 p.m. on Oct. 12, the Ladysmith RCMP received a report of a single vehicle crashing into a utility pole on Highway 1 near the airport. A 20-year-old female driver was injured. Ambulance staff, fire department and BC Hydro were alerted. Traffic in both directions had to be diverted around the area due to power wires hanging too low over the highway causing a hazard. The female driver was wearing a seatbelt, and the airbags in the vehicle were deployed, resulting in only minor injuries being suffered. Alcohol was believed to be involved. 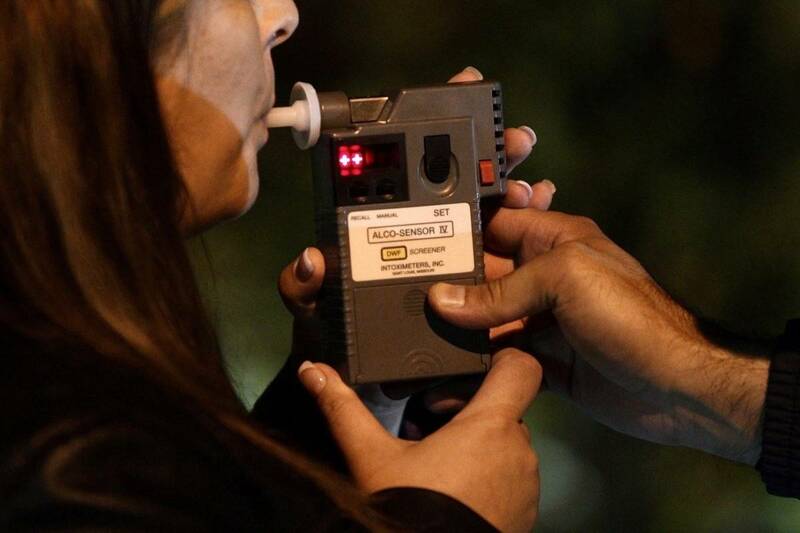 The subsequent breath test results indicated a blood alcohol reading above the legal limit. A Crofton resident is facing potential charges of Impaired Driving and Over 80 mgs. The new vehicle she had been operating sustained heavy damage. The highway reopened a few hours afterwards. • On Oct. 19 at 4:45 p.m., BC Ambulance and Ladysmith RCMP were called to attend a residence located on Cloke Road in Ladysmith where an elderly female had been choking and had become unconscious. While emergency services were travelling to the scene, the 9-1-1 operator provided instructions to the other people in the home to perform CPR. Upon police arrival, the female victim was breathing on her own and had regained consciousness. The victim was transported to Nanaimo hospital for further treatment. The Ladysmith RCMP would like take this opportunity to remind motorists and pedestrians of the approaching Halloween festivities and to be extra careful when driving around and watching where you are walking. We wish everyone and happy and safe Halloween! If you have any information to these crimes or any other ones, please contact the Ladysmith RCMP Detachment at 250-245-2215 or CRIMESTOPPERS at 1-800-222-8477.